Mt. Juliet, Tenn. – A suspect walked into Wal-Mart and pushed a large flat screen TV out the front doors without paying, and police are hoping the public can identify the thief from surveillance video photos. Mt. Juliet Police officers were summoned to Wal-Mart on October 24, 2013 after loss prevention realized a man just pushed a TV out the front doors without paying. 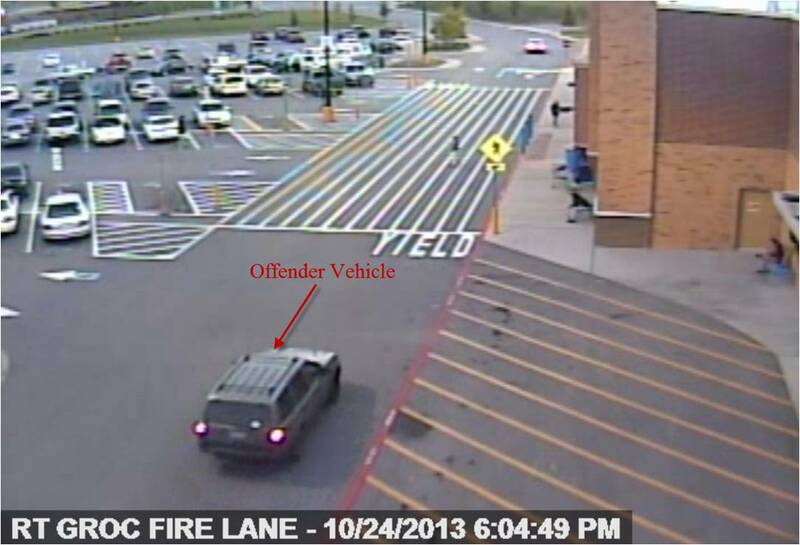 Investigation revealed that the suspect entered Wal-Mart with the intent to steal the TV. The suspect grabbed a shopping cart, went straight back to the TV section, loaded a 47 inch flat screen TV on to the shopping cart, and pushed it right out the front doors to his getaway vehicle. The TV is valued near $620.00. 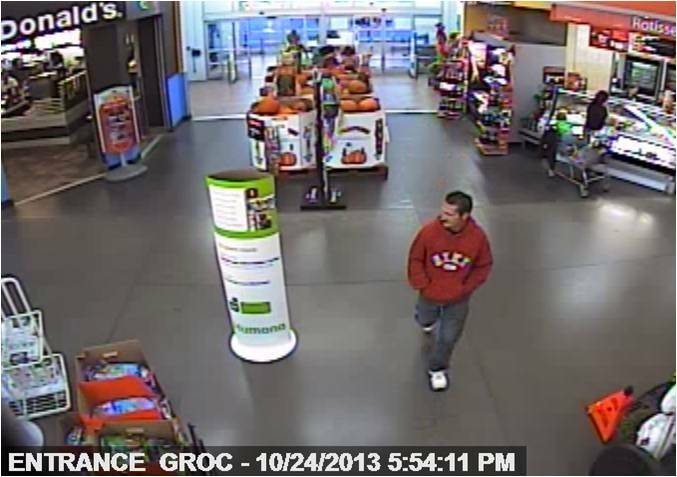 The suspect is described as a white or Hispanic man around 40 years of age, 6’ tall, and with a thin body build. 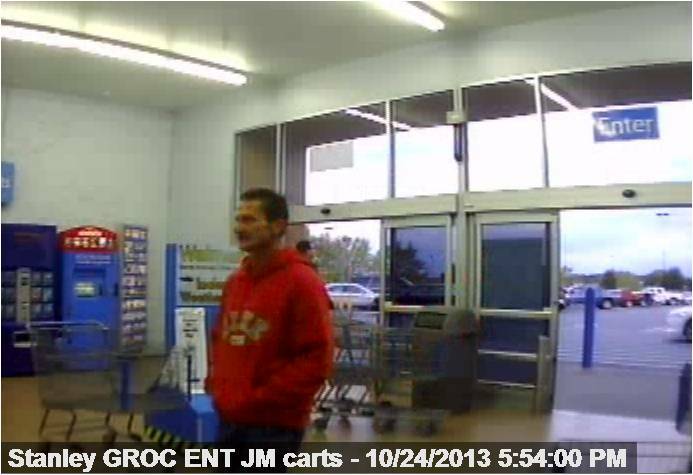 At the time of the crime, he was wearing a red Nike hooded sweatshirt, blue jeans, and white tennis shoes. 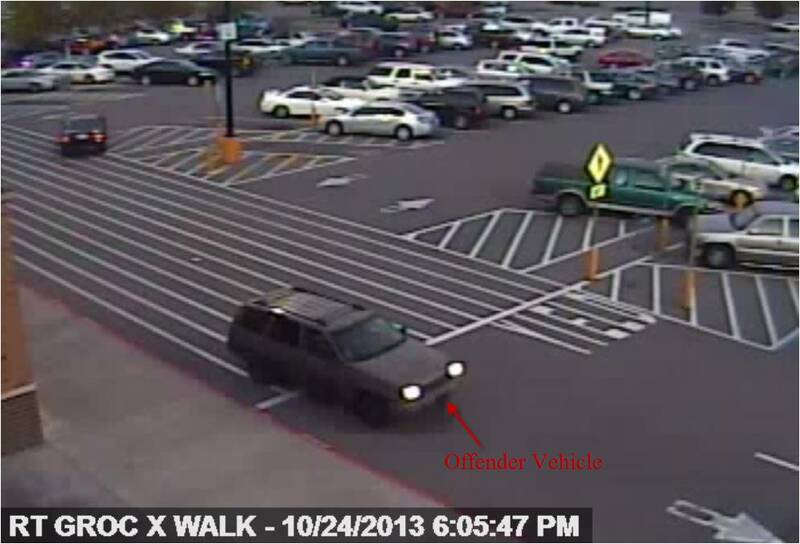 His getaway vehicle is described as a dark gold 1993-1998 Jeep Grand Cherokee that was missing hub caps. Anyone with any information regarding this crime is encouraged to call the Mt. Juliet Police Department at (615) 754-2550. Information can also be given anonymously by calling (615) 754-TIPS (8477) or via the Mt. Juliet Police Department website at http://www.mjpd.org/ .